Today we are proud to announce the publication of The Failure of Term Limits in Florida, by Kathryn A. DePalo. The Failure of Term Limits in Florida is a tour de force examination of the unintended and surprising consequences of the new incumbency advantage in the Sunshine State. In 1992, Florida voters approved an amendment to the state’s Constitution creating eight-year term limits for legislators–making Florida the second-largest state to implement such a law. Eight years later, sixty-eight term-limited senators and representatives were forced to retire, and the state saw the highest number of freshman legislators since the first legislative session in 1845. Proponents view term limits as part of a battle against the rising political class and argue that limits will foster a more honest and creative body with ideal “citizen” legislators. 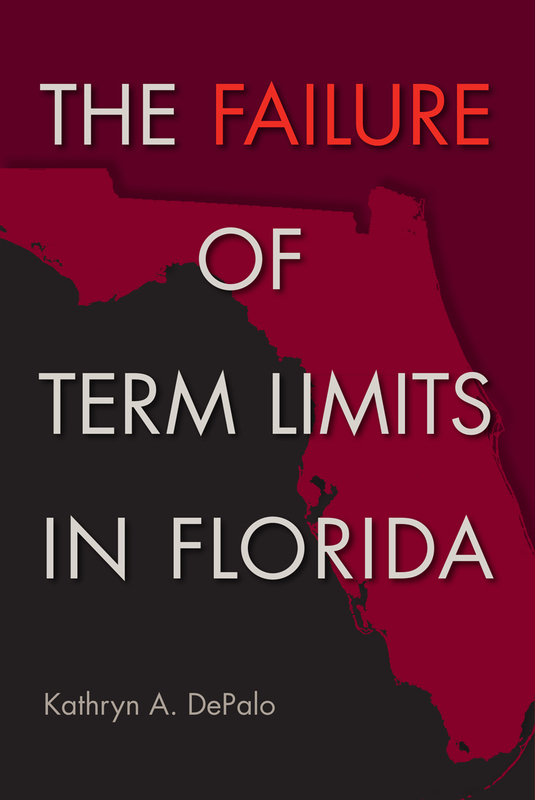 However, in this comprehensive twenty-year study, the first of its kind to examine the effects of term limits in Florida, Kathryn DePalo shows nothing could be further from the truth. Instead, these limits created a more powerful governor, legislative staffers, and lobbyists. For anyone wanting to know why term limits were adopted in Florida, and how they’ve changed the legislature and lawmaking process, this book is a must-read. Kathryn DePalo is senior instructor at Florida International University.